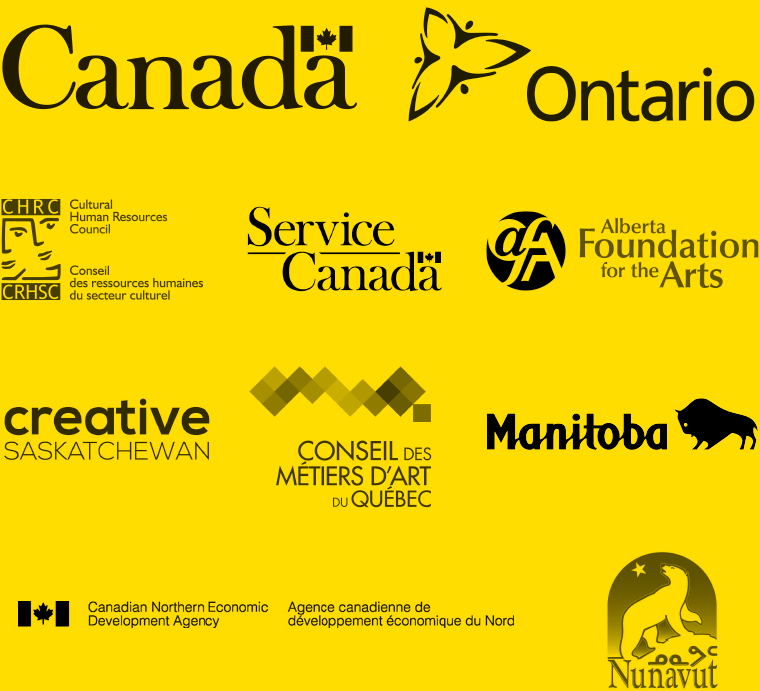 The Provincial and Territorial Craft Councils and the Canadian Crafts Federation would like to thanks our many funders who supported the development and implementation of Citizens of Craft: the Government of Canada, the Government of Ontario, the Alberta Foundation for the Arts, Creative Saskatchewan, the Government of Nunavut, the Government of Manitoba, the Government of Newfoundland and Labrador, the Cultural and Human Resources Council, and Service Canada. 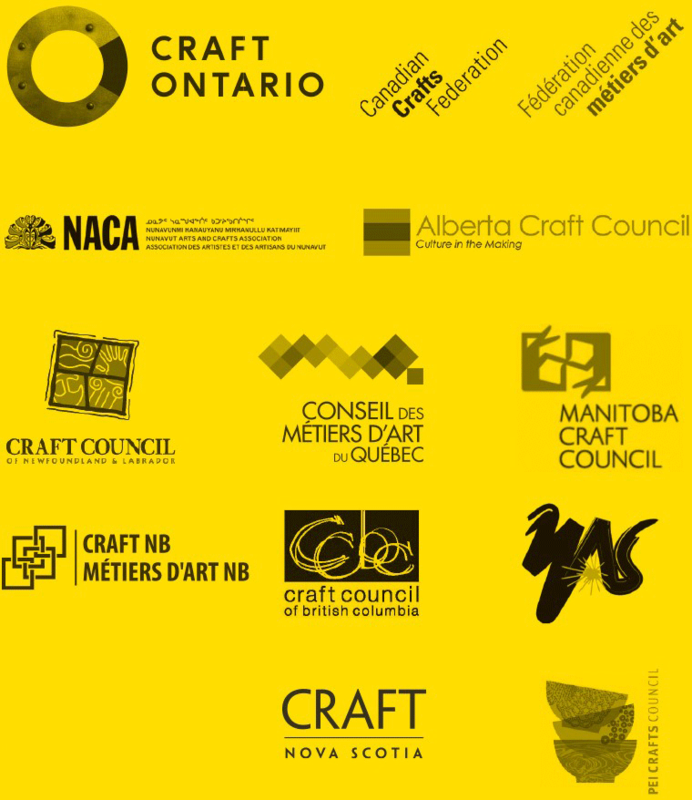 Citizens of Craft is a national initiative and was created for the Canadian craft sector by the collaborative efforts of the Canadian Crafts Federation and all provincial and territorial craft councils, and was led by Craft Ontario. It was felt that by joining together to create a powerful national movement the whole could become greater than the sum of the parts. Citizens of Craft also received programming and marketing support from the Haliburton School of the Arts - Fleming College, Sheridan College’s School of Craft and Design, and Harbourfront Centre.